Examples, solutions, and videos that will explain how to add and subtract mixed numbers with unlike denominators. 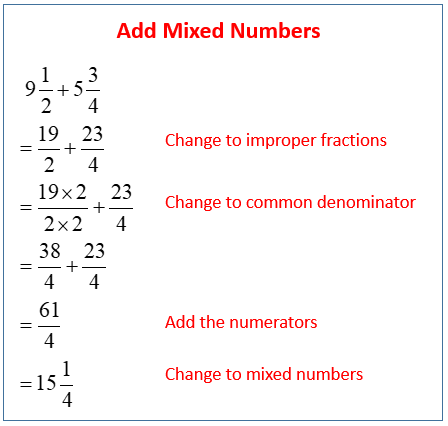 The following example shows how to add mixed numbers. Scroll down the page for more examples and solutions. 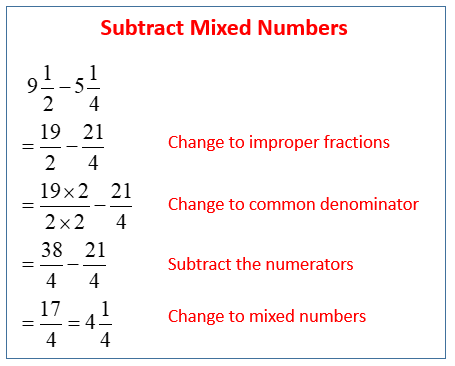 The following example shows how to subtract mixed numbers. Scroll down the page for more examples and solutions.